You have heard your dentist say it many times, every time you go in for an exam and cleaning. But still you go home, and never floss. Or maybe you floss once a week. If you’re a religious daily flosser we commend you! Flossing is so incredibly important when it comes to keeping your oral hygiene at its best, and keeping cavities at bay. So What Exactly Is Flossing? 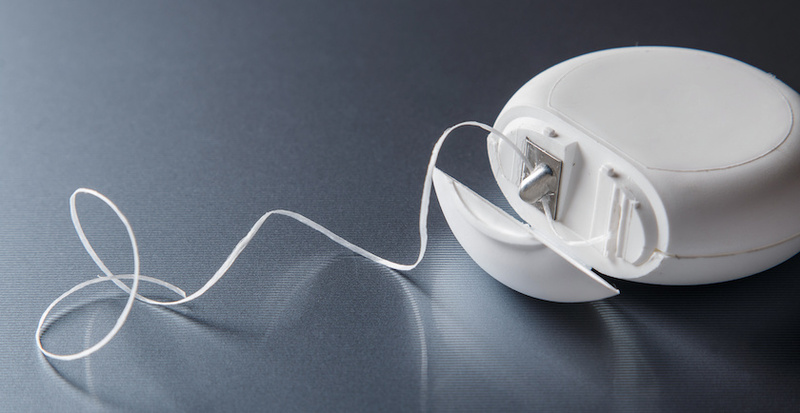 Flossing entails using dental floss (a long cord of thin thread) that’s used to dislodge and remove food bits and dental plaque from in between teeth. Floss is a great tool because it cleans areas that toothbrushes can’t get to, lessening your chances of getting cavities. It is important to floss at least once a day, usually at night. Remember to take your time to do it correctly rather than rushing through the process. Flossing multiple times after sugary or large meals is another great option. There is a multitude of choices when it comes to dental floss in the dental care aisle at the supermarket. By experimenting, you can quickly find the type that is right for you, and best suits your teeth. Ribbon floss is usually made out of plastic or nylon, and therefore smoother, flatter and more comfortable to use. This style is best for people with tightly set teeth and minimal space, as well as aching or bleeding gums as it is more gentle. Traditional floss is more rounded and slightly bigger in diameter. You could say this one is for experienced flossers. Floss picks are another great option, for those who find it uncomfortable to use their fingers to wind the string around. It makes for a much quicker and easier flossing experience, not to mention more comfortable. This is also a great option for kids! Automatic Flossers are battery operated and use vibration and a rubber tip to dislodge the food from between teeth. Other automatic flossers use water, like the WaterPik. Make sure to contact City Dental Centre should you have any questions, inquiries about procedures or would like to schedule an appointment! Our experts and staff are always happy to help you along your journey to dental hygiene! If you have any fears or anxieties, City Dental also specializes in sedation dentistry to ease your worries.